Not only is the city of Singapore home to a population of 5.4 million people, but also a large variety of native wildlife. With over 537 species of birds, reptiles and mammal species and a growing human population, human-wildlife conflicts are becoming more common. As we urbanize and develop more, natural habitats for wildlife shrink, often leading to fragmented forests. 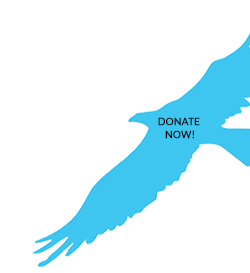 With increased habitat loss, our native wildlife is forced to adapt and seek food and shelter in urban areas. It is important that we appreciate our biodiversity and strive to move towards a progressive society where we learn to co-exist with these animals. 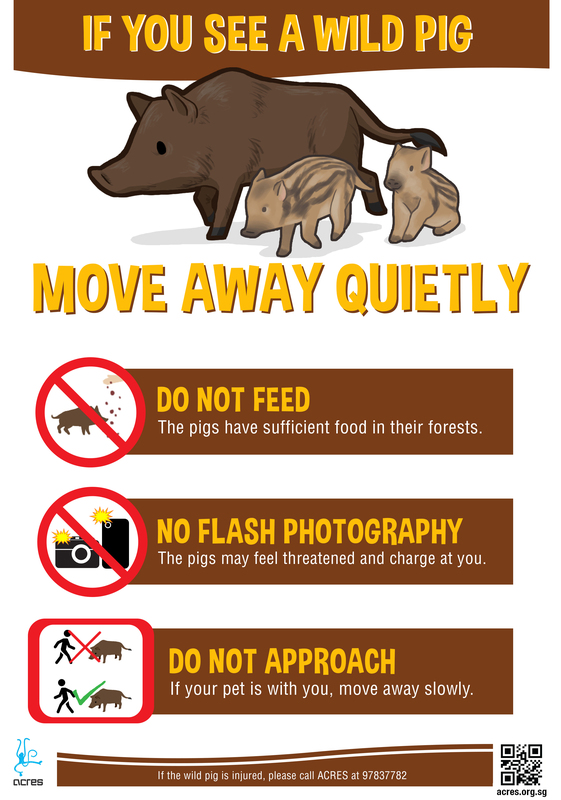 To learn more about what to do when you encounter wild animals in Singapore, please click on the respective advisory sheets to download them. Macaque is the common name of Old World monkeys in the genus Macaca. They are characterised by the presence of their cheek (buccal) pouch to carry and store food, their brownish colour and their short tails. The long-tailed macaques or crab-eating macaque (Macaca fascicularis ) is the only macaque native to Singapore. 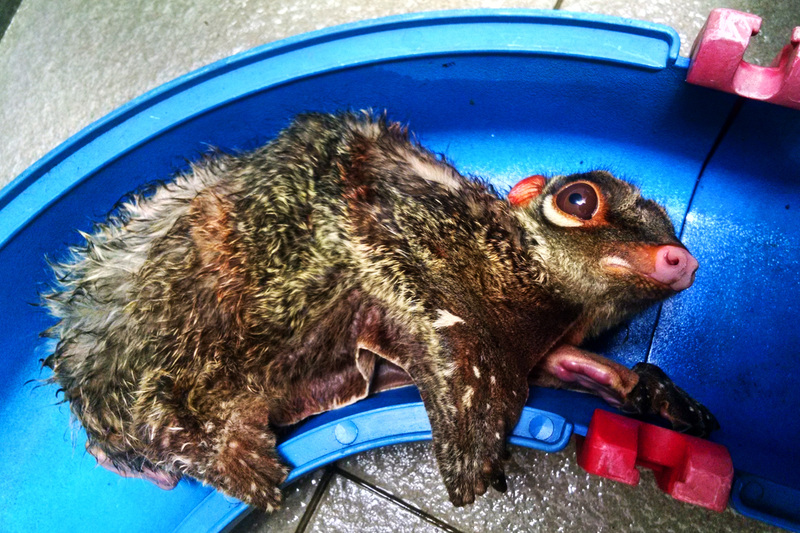 They are also the most common species of non-human primate in Singapore and are characterised by their long tails. Adults have white fur on their eye lid, whiskers on their cheeks and are brown and grey in colour. Babies are born with black coat. Macaques live at forest edges. As a result of urbanisation, humans are moving closer to the forest edge. With that, the natural living spaces for macaques decreases in size, thus increasing the zone of interaction between human and macaques. Being general feeders, macaques feed on a wide range of food and living close to humans, some long-tailed macaques have learned to associate humans with food. This is due to indiscriminate feeding by irresponsible people. They have also learned to scavenge for food in dustbins, steal from shops and restaurants, and to enter houses to raid for food. These are just some of the many things the intelligent monkeys have learned from staying close to us. Why is human-macaque conflict management needed? Every year, the population of long-tailed macaques in Singapore is decreases. Species protection and education needs to happen as soon as possible to maintain a population size of the local macaque population. The long-tailed macaque plays an important role in ecology. They help maintain and regenerate the local primary forest of Singapore. Without them, the local ecology would face drastic impact that would negatively impact other native animals and humans. Unfortunately in Singapore, macaques that are caught in human conflict can have their lives taken away from them- some are trapped and culled. Others might get be victims of roadkills. Humans that get too close to macaques are also at risk of accidents such as being bitted and scratched by macaques. Such conflict can be easily minimised with proper education to coexist harmoniously in the same environment. How is human-macaque conflict management carried out? Human-macaque conflict management is carried out by education. 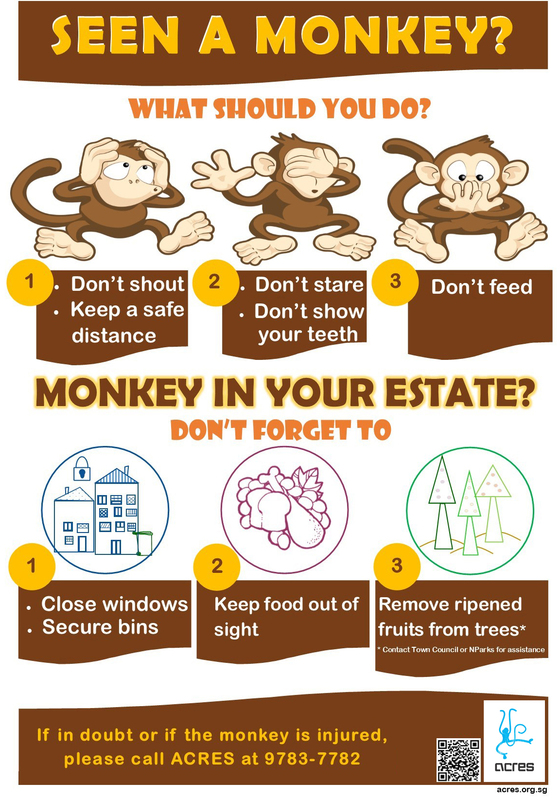 We advise people on what they should and not be do when they encounter a wild macaque. Macaques only attack with they are threatened. Here at ACRES, we teach people how to read the basic body language of macaques and to be aware of their own body language when sharing a common space with these monkeys. Preventing a potential conflict is the key. Long-tailed macaques around the world have also been notorious for stealing off humans. 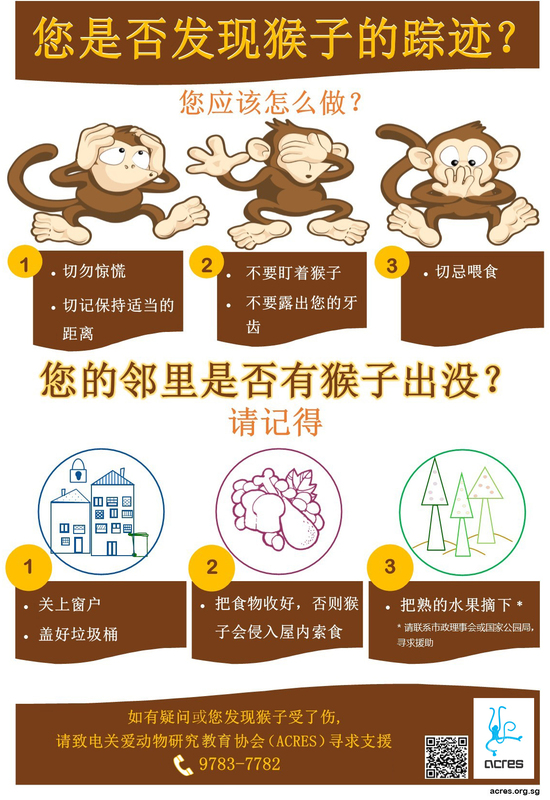 Part of our campaign includes educating people about storing their food out of sight when interacting with macaques. Why should we not feed macaques? Many people feed monkeys to get a closer to them. The monkeys in the wild have a lot of natural food available to them. By eating natural food in the wild, they are helping us spread seeds and helping our forest grow. Monkeys prefer to get fed instead of looking for their own food. As soon as they realise that food is available in plastic bags, rubbish bins and shops, they will go back for more. 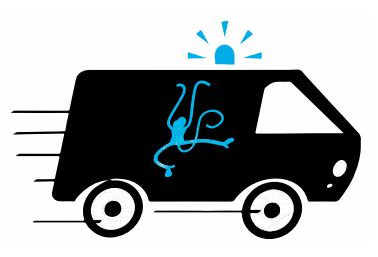 When that happens, both humans and monkeys are at risk of danger. Humans risk being scratched when they refuse to give up their valuables while the monkeys risk being trapped and killed. To help the monkeys, leave them alone. They have been in the forest even longer than we have. It is a lot more fun watching them from a distance as compared to watching them being taken away in a cage. 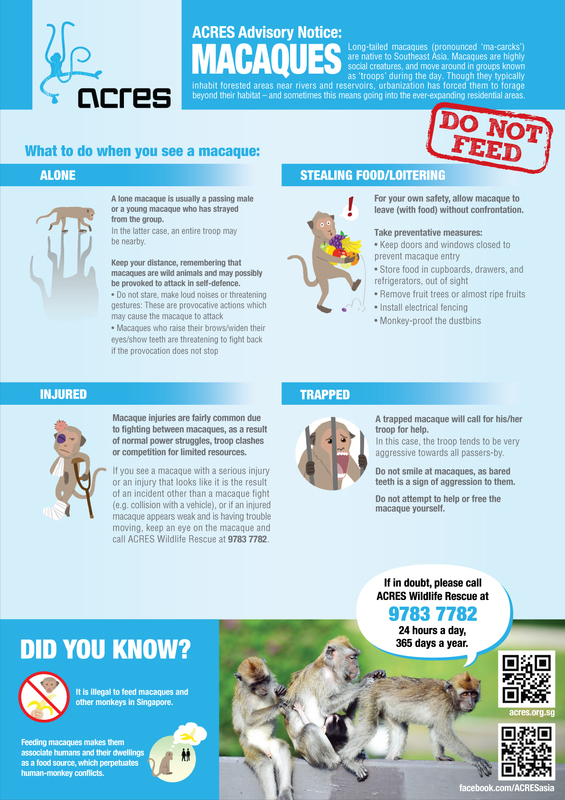 What can you do if you see a macaque? Macaques are naturally found in the forest edges, forested area, green spaces and parks. It is important to give them space in their own habitat. If you see them in any of those area, keep a distance, do not carry any food or drinks in your hand or plastic bag. Understand their body language and be aware of yours. When threatened, macaques expose their teeth in defence. They also yawn as they are threatened. Maintaining eye contact is a sign of threat. Please be aware not to smile with our teeth or stare at them. Please click here to download the advisory sheet on Long-tailed Macaques. For infographics in English, please click here. For infographics in Mandarin, please click here. Civets are omnivorous animals who mainly feed on fruits. 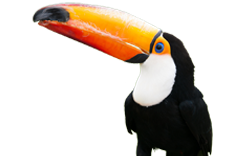 They are arboreal and feed on a variety of insects, small snakes and even birds. Often mistaken as cats, these shy but agile creatures are rather successful in urban areas. 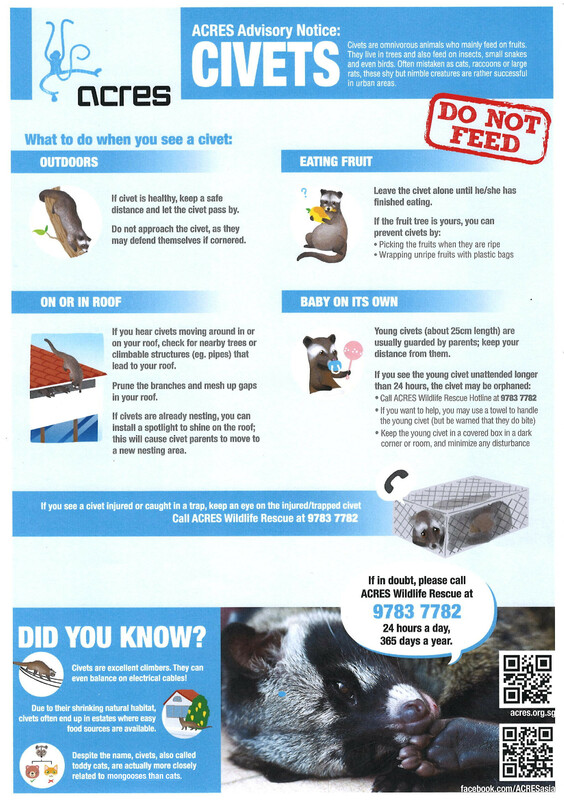 Please click here to download the advisory sheet on civets. The wild pig (commonly referred as wild boar), is native to Singapore. They have an omnivorous diet that consists of insect larvae, seeds and tubers. Increasing urbanisation in Singapore means that areas with vegetation suitable for wild pig grazing and urban areas are now found close to each other. This means that boars are more likely to be encountered in urban areas. 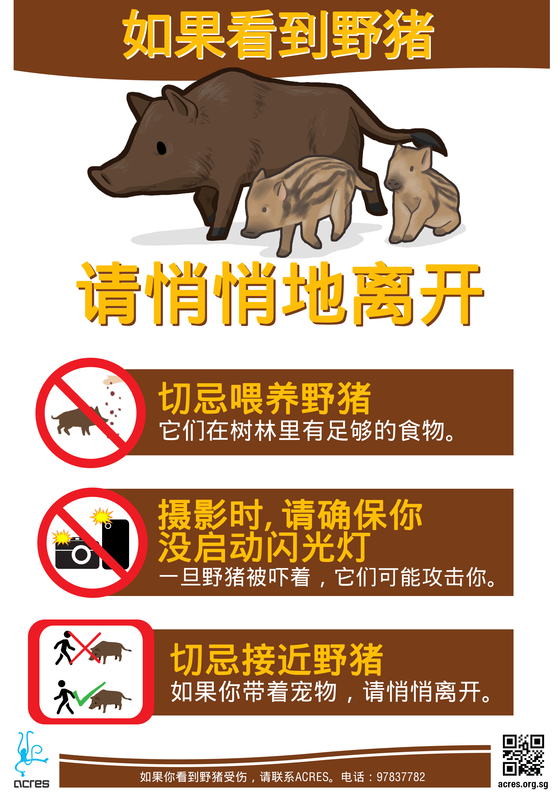 Please click here to download the advisory sheet on Wild Boars. Bats are important pollinators in our ecosystem. Contrary to popular belief, bats in Singapore do not harm people and have a diet consisting mainly of fruits or insects. Fruit-eating bats pollinate the beautiful flowers you see around your neighbourhood while insect-eating bats control insect populations (including mosquito populations)! Please click here to download the advisory sheet on Bats. Our tropical ecosystem is home to a wide variety of snakes, such as garden snakes, sea snakes, pythons, cobras and more. Often portrayed as evil or villainous, these misunderstood creatures are actually shy and harmless when left alone. Please click here to download the advisory sheet on Snakes. Rock pigeons are one of the most successful urban bird species found throughout the world. Food availability, predation and human interference affects their population. 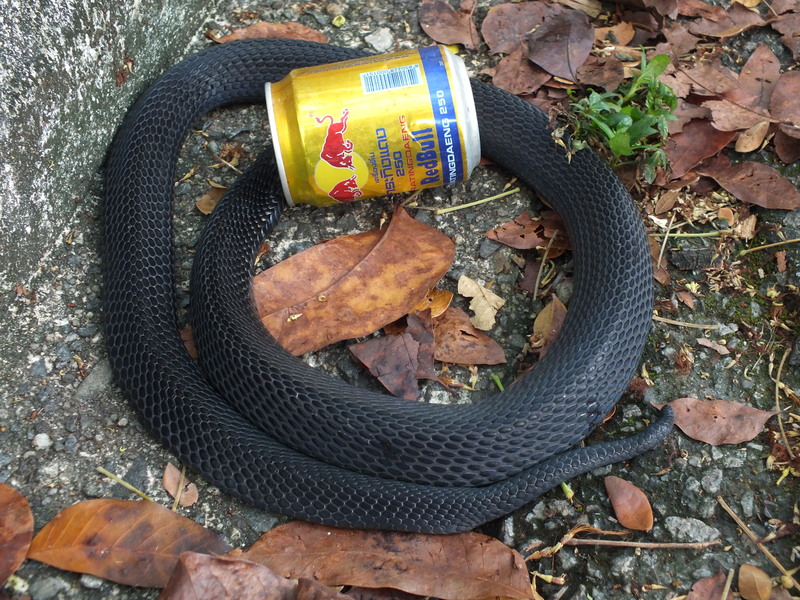 Their fast reproduction rate and high availability make them a common sight in Singapore. Please click here to download the advisory sheet on Pigeons.